Cutthroat is a popular Pinochle variation for three players. Unlike most partnership Pinochle games, Cutthroat pits each player against one another, every man for himself. It’s a fast-paced, highly competitive, and very strategic card game, requiring careful planning, good memory and discipline. In this game, you can play online against real people or choose between 8 computer opponents, each with different skill levels and unique styles of playing. 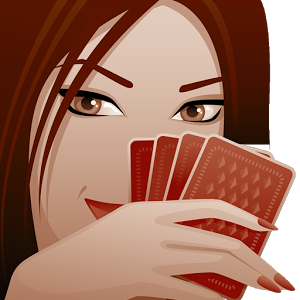 Each player is dealt 15 cards with 3 cards dealt face-down to the widow. Players bid after initial cards are dealt and the high bidder combines the widow cards to potentially form a stronger hand, then discarding the three weakest cards.